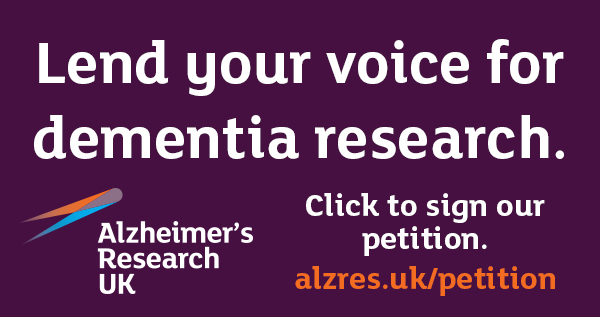 Alzheimer’s Research UK is asking the government to give more priority to dementia as plans develop to support the Life Sciences sector. The Sector Deal announced today (6 December) represents yet another step forward by government to establish the UK as a global leader in health research. However, Alzheimer’s Research UK, the UK’s leading dementia research charity, would like to see a solid plan for how the government will address the rising threat posed by Alzheimer’s and other dementias, currently the leading cause of death in the UK. This is particularly important as plans released in recent weeks have failed to include Alzheimer’s or dementia in name, including in the government’s Ageing Society grand challenge. “To meet the needs of an ageing society, dementia must be a focal point for the strategy, as well as in the support outlined in plans like the Life Sciences sector deal. Alzheimer’s Research UK is asking government to consider how it will include dementia, the UK’s leading cause of death, as plans for the Life Sciences Strategy develop. “The development of the Health Advanced Research Programme (HARP) will be critical in how the government addresses dementia. We look forward to seeing additional information on HARP and so-called ‘moonshot’ programmes that could be crucial for achieving early diagnosis for conditions like dementia, which can develop 20 years before symptoms appear. “We are glad to see the government highlight the importance of including charities in the development of these programmes, and would encourage discussions to take place as early as possible. Alzheimer’s Research UK would like to see the government include a wide range of charities in discussions to ensure benefits are maximised across a number of important health areas.